SALEM.SEP.19: Vinayaka Mission' Homoeopathic Medical College organized Alumni Meet 2010 at Kirupanandha Variyar Medical College Annapoorana Auditorium. Prof. Dr. P.K. 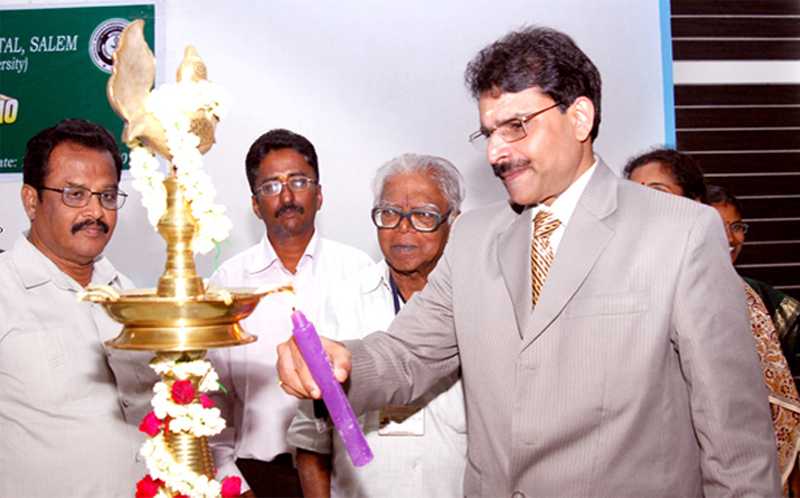 Sudhir., Principal Vinayaka Mission's Homoeopathic Medical College inaugurated the function. Prof.Dr. K. Rajamanickam, Vice-Principal welcomed the gathering, Professors Dr. S. Radha Krishnanan, and Dr.R.Santhanapandiyan, the former principals, Government Homoeopathy Medical College, Dr..R.T.Chandrasekar were felicitated. Dr. T. Saravanan co-ordinator of Alumni-2010 gave the vote of thanks. ADHOC office bearer has been formed during this meeting. Around 200 Alumini attended in this function.